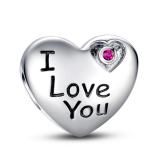 charms.com is a subsidiary website from charms Jewellery, Ltd. . Endeavor to change traditional sales model, curtail circulation procedures, and transmit commodity to target customers directly from manufactures, thereby customers' purchasing cost is saved greatly, and manufactures can achieve more benefits. 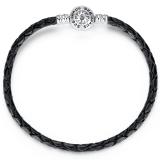 scharms.com provides a universe of hand-finished and modern jewelry primarily made from genuine materials, including solid sterling silver and 14k or 18k gold. We use a variety of gemstones, stones and cultured pearls to add sparkle and color to our genuine silver and gold jewelry. Our designers and artisans of Antwerp create timeless and unique designs in accordance with charms's legacy "Unveiling Inner Beauty", and handcraft your sterling silver, 14k to 18k Gold, including chains, bracelets and precious stones or jewels by hand with the fines material .